It's winter. You might think that here in my RL, Finland, far North Europe it would be snowy right now. Fat chance. Some parts do have snow, but many not so much. Here in Helsinki there has been a couple of days of snow fall so far. Snow that has landed and melted away. Mostly it's been wet and cold. Talking about wet and cold: We also get this thing called räntä. It's something in between snow and water, very very watery snow and water mixed actually. It happens when the weather is warmish, but upper in sky it's cold enough to start as snow. The snowflakes enter the warmer air and start to melt before coming down. 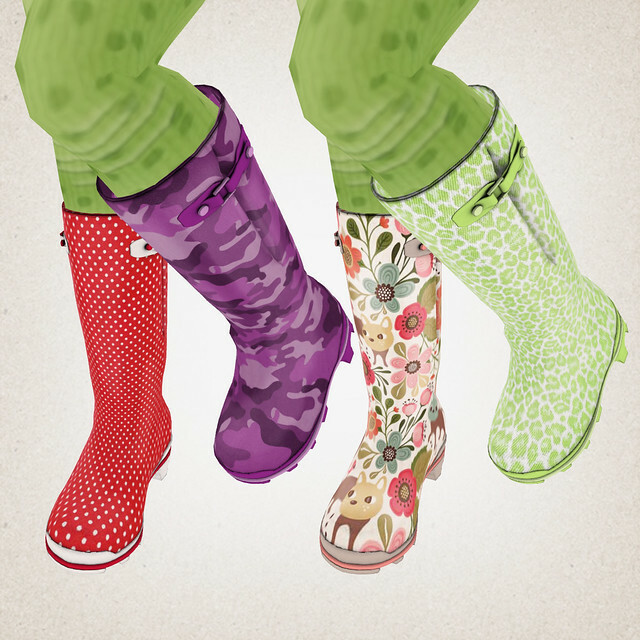 Wellingtons would be great. 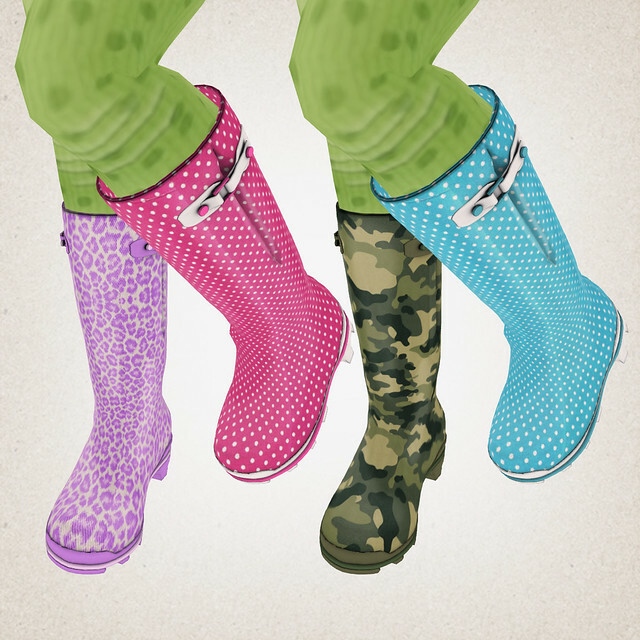 I'd love a pair of pink leopard wellies in RL. Gladly I just got some from [ bubble ] by moonbubble in SL. 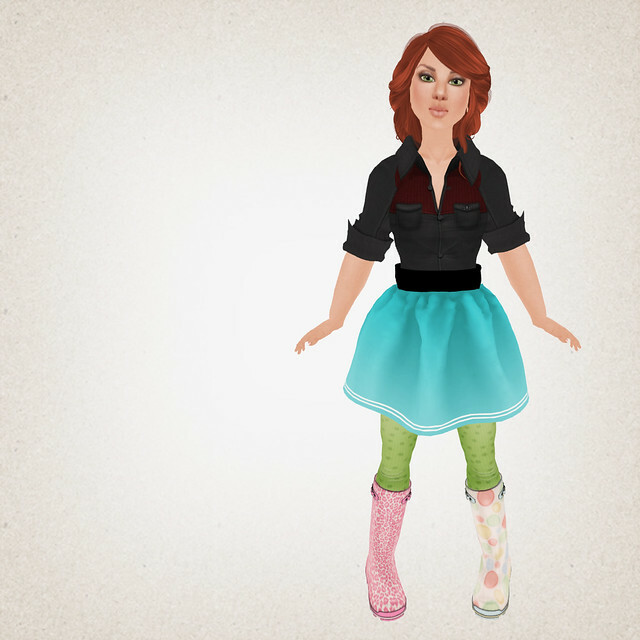 And a plenty of other color and pattern choices too. Love them to pieces! I hadn't been blogging for a long while, so no wonder if you lost it. :) I'm happy you found it again! I promise to try and be a bit more active for now on. 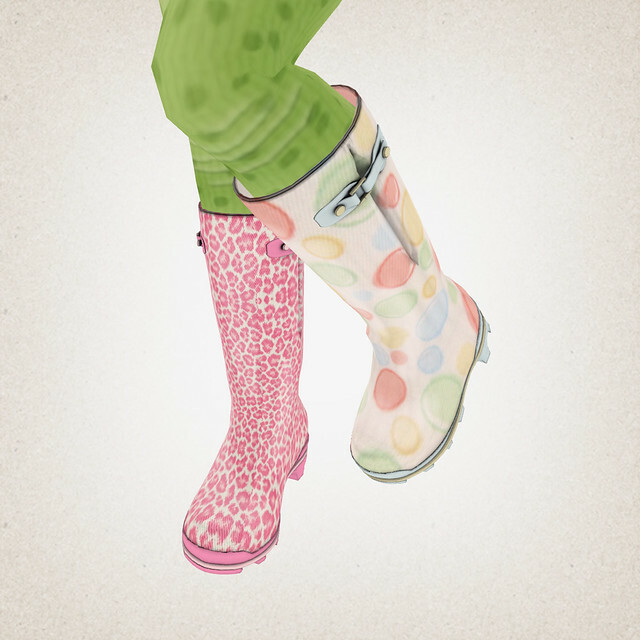 I'm kind of bootless in RL, but may need to fix that if the weather keeps to be rainy like this.